Pied-a-terre living at its best. Live in five-star luxury for up to half the year and earn income, while away, as your apartment will be managed and operated by the hotel. 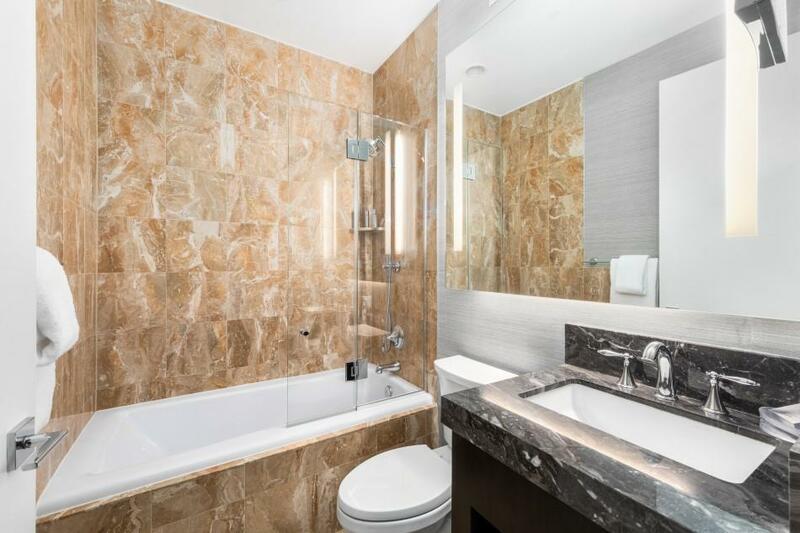 This is one of only two one-bedroom apartment layouts with double exposure and, as such, is nearly always in demand with reservations. 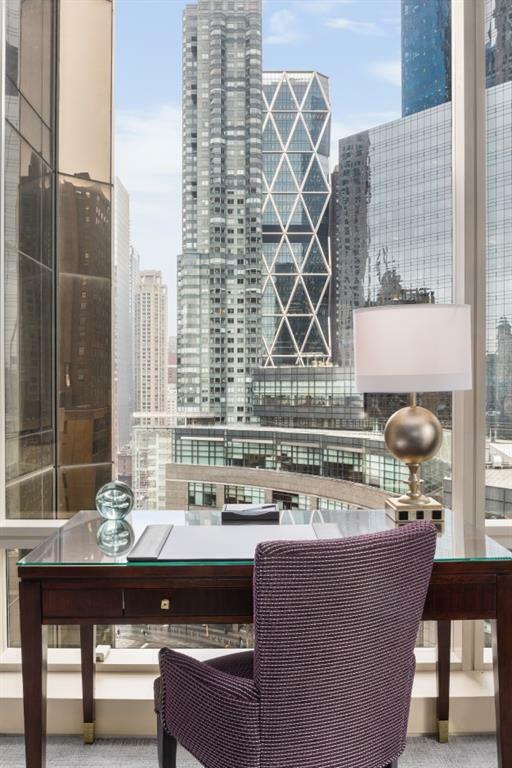 The apartment is fully furnished with floor-to-ceiling glass walls framing a beautiful snapshot of Columbus Circle and Broadway cityscape. 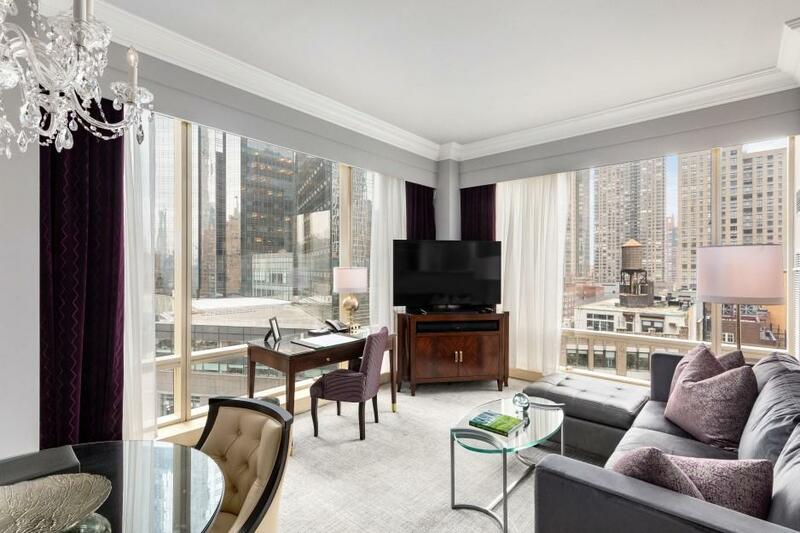 The comprehensive concierge services include daily house-keeping, 24-hour room-service from Jean-George, a 6000sf fitness center and spa, a 55' swimming pool, and conference rooms, garage and valet service. 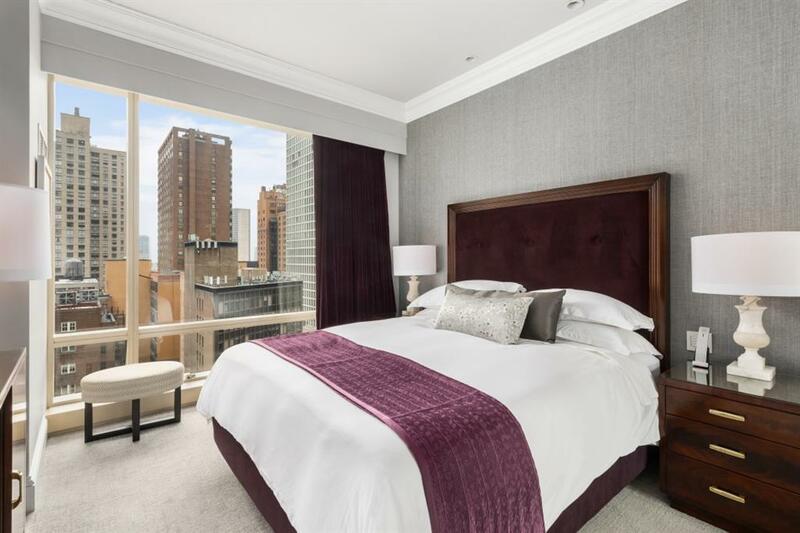 The matchless location offers the city's top restaurants and shopping, Lincoln Center and Central Park just outside your door. Listing courtesy of Calli Sarkesh of Compass.